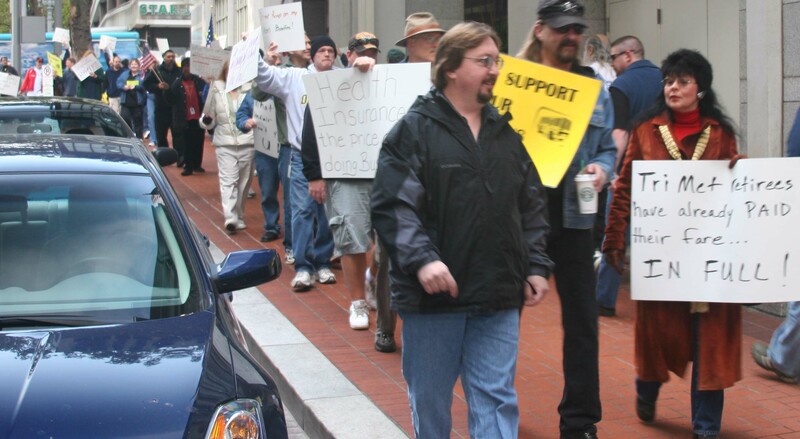 ATU's 1st Informational Picket on October 27th, 2010. The second ATU 757 Informational Picket is being held tomorrow, Wednesday, October 27th, 2010. The purpose of this picket is to inform the public that TriMet management is breaking the law with the current actions they have taken against Union members both active and retired. This picket will begin at 7:30 am outside the TriMet Board of Director’s meeting at the Portland Building, 1120 SW 5th Avenue, Portland.